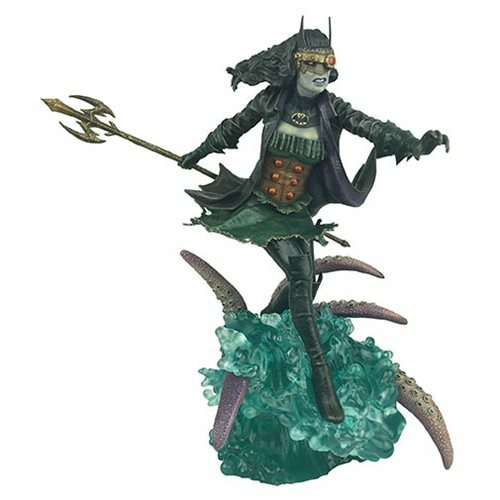 The DC Gallery line of PVC statues goes even deeper with another addition to the Dark Nights: Metal series of sculptures - The Drowned! Leaping from the water surrounded by the tentacles of some huge beast, this aquatic Batman from the Dark Multiverse is the perfect addition to any Batman or Aquaman collection! The 10-inch tall statue features detailed paint applications and comes packaged in a full-color window box. Designed by Caesar and sculpted by Alterton!